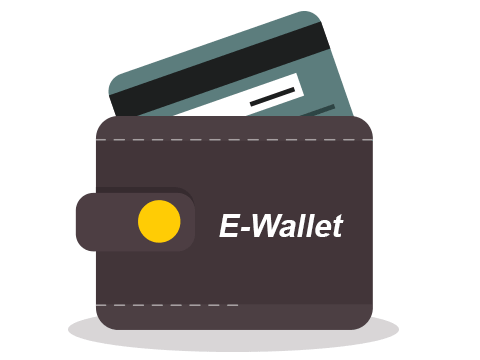 An e-Wallet, sometimes called a digital wallet, is a secure place that contains one or more currency purses. Your shoppers can fund an eWallet in several different ways. Once funded, shoppers can use e-Wallets online to buy goods or services. If you are using Slurp Central, we are proud to inform you that eWallet is applicable and can be used in your outlets. eWallet applications such as Boost!, GrabPay, FoodPanda, Visa, MasterCard and various other payment methods can be used for our POS system. For setting up an E-wallet account, the user needs to install the software on his/her device, and enter the relevant information required. After shopping online, the E-wallet automatically fills in the user’s information on the payment form. To activate the E-wallet, the user needs to enter his password. Once the online payment is made, the consumer is not required to fill the order form on any other website as the information gets stored in the database and is updated automatically. One way of making mobile payments in-store is by using QR codes. All you need is a mobile phone with a camera, and a mobile app that can scan, store, and share QR codes. Paying retailers with QR scanners. At the check-out, the cashier will enter the amount to pay. You will then open your QR scanning app and display your unique QR code to the retailer. The retailer will scan the QR code to identify you and deduct the money from your mobile wallet, using a compatible mobile payment app. Paying retailers without QR scanners. In this scenario, the retailer will display a QR code and you will scan it using the QR scanning app on your mobile device. The app will identify the retailer. Then you can enter the payable amount and complete the payment. One example of this in action is the system used by US department store, Kohl’s. Kohl’s Charge cardholders can now make payments via their mobile app by scanning a QR code at the check-out. One of the challenges of mobile payments is finding a solution that works with different devices. QR codes help overcome this challenge, as all you need to scan a QR code is a camera on your mobile phone. You don’t need to enter the details of the person you are paying, just scanning the QR code will identify them instantly. You can make payments using QR codes from any location with only a few taps on the mobile device. Storing your payment details in your mobile phone and carrying it around is much safer than bringing your entire wallet full of cash and credit cards everywhere you go. The chances of theft and fraudulent purchases using your payment details are much less with QR codes. QR codes are a promising trend for the future of mobile payments, and are an exciting, easy and convenient way to pay using just your mobile phone.